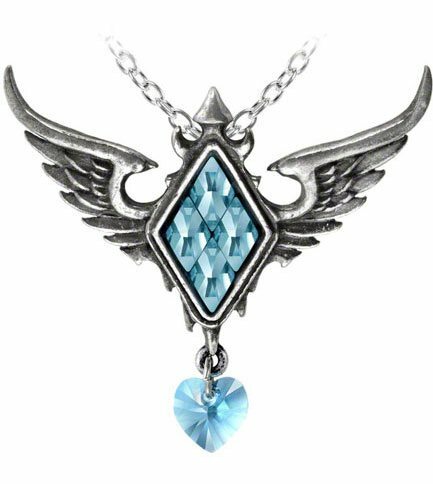 Pewter pendant with wings reaching up to the sky carrying a blue crystal heart. Approximate dimensions: width 2.17 inches x height 1.85 inches x depth 0.43 inches. Chain length: 18 inches. 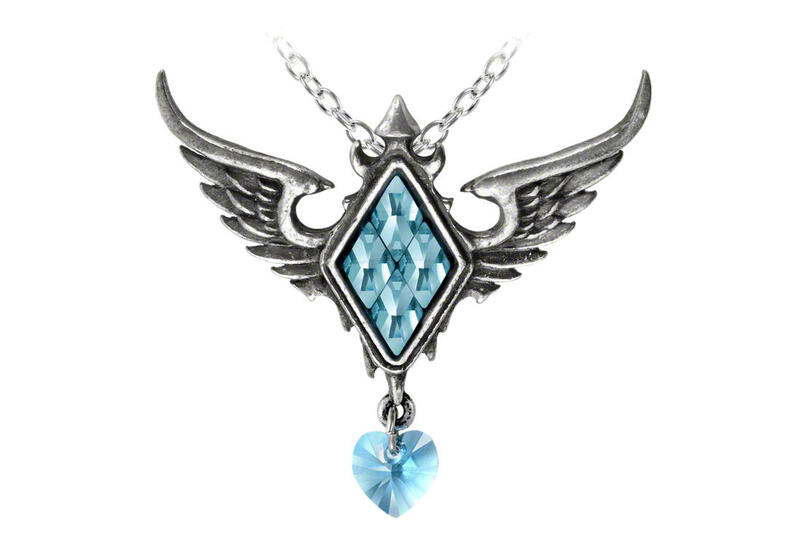 Materials: fine English pewter with ice blue Swarovski crystals.